Ryan Mathias (“Mathias” or “plaintiff”) was employed by Rent-A-Center, Inc. (“RAC” or “defendant”) as an Assistant Manager, a position that was classified as a non-exempt or hourly position. Id. *1. As a condition of employment, plaintiff executed an arbitration agreement (“Agreement”), which Agreement contained a class action waiver and excluded arbitration private attorney general actions. Id. Plaintiff filed a class action alleging eight claims arising from his employment with defendant, including claims for unpaid wages and overtime, unpaid rest and meal period premiums, and penalties arising from non-compliant wage statements under the California Labor Code and California Business and Professions Code. Id. Plaintiff also seeks to recover penalties as “an aggrieved employee” pursuant to the Private Attorneys General Act (“PAGA”). Id. Defendant filed a motion to compel arbitration and stay the civil proceedings. Id. Defendant asserted that the Agreement obliges plaintiff to individually arbitrate his claim, precluding individual or collective action in civil court. Defendant also moves for a stay of plaintiff’s claims that are not covered by the Agreement, including his PAGA claims, pending arbitration. Id. They argue that the right to compel arbitration under the circumstances of this case was established by the Supreme Court’s recent decision in Stolt-Nielsen v. Animalfeeds Int’l Corp., — U.S. —-, 130 S.Ct. 1758 (2010). Id. *3. Plaintiff opposes arbitration on the grounds that the Agreement violates California law because the class action waiver and the exclusion of arbitration of PAGA claims renders the Agreement unenforceable under Gentry v.Superior Court, 42 Cal.4th 443 (2008). Id. “[A]lthough ‘[c]lass action and arbitration wiavers are not, in the abstract, exculpatory clauses,’ … such a waiver can be exculpatory in practical terms because it can make it very difficult for those injured by unlawful conduct to pursue a legal remedy.” Gentry, 42 Cal. 4th at 457 (quoting Discover Bank, 36 Cal. 4th at 161). The Gentry court also recognized that a class action waiver, or any other clause of an arbitration agreement, may be unenforceable when it is found to be unconscionable. Gentry, 42 Cal. 4th at 467. 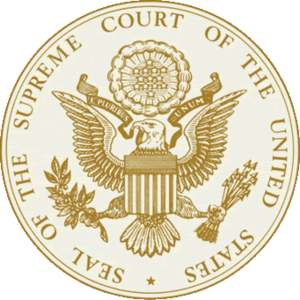 Defendant argued that the Supreme Court’s recent decision in Stolt-Nielson preempts Gentry, arguing that the Court held that “class wide arbitration is forbidden unless the arbitration agreement permits such actions to proceed.” Id. *5. Defendant holds the position that the California Supreme Court’s decision in Gentry is preempted because the court reasoned that class action waivers may be unenforceable for reasons of public policy. Id. The Supreme Court held that the arbitration panel exceeded its powers by imposing its own policy choice “instead of identifying and applying a rule of decision derived from the FAA or either maritime or [state] law.” Id. Nowhere in the opinion did the Court even infer that state law regarding contract interpretation is preempted where the rule of interpretation is based upon policy concerns. In fact, the court specifically held the arbitration panel should rely on state contract law in determining whether to impose class arbitration. In the few months since Stolt-Nielsen was decided two appellate courts have adopted this reasoning. See Fensterstock v. Educ. Fin. Partners, — F.3d —- (2d Cir. July 12, 2010) available at 2010 WL 2729759; Litman v. Cellco P’ship, No. 08-4103, 2010 WL 2017665 (3d Cir. May 21, 2010), at *3 n. 5 (noting that “the en banc Court … expressly cited Stolt-Nielson without then questioning whether it precluded an unconscionability determination”) (citing Puleo v. Chase Bank USA, N.A., 605 F.3d 172 (3d Cir.2010) (en banc)). This court has not found any decisions of the courts of appeals that interpret Stolt-Nielsen as holding that the FAA preempts state rules of contract interpretation derived from public policy concerns. For this reason, the court applies California law to evaluate the class action waiver at issue in this case. Plaintiff argues that the waiver is unenforceable under Gentry. Relying upon a declaration filed in support of defendant’s notice of removal, plaintiffs contend that plaintiff’s salary at termination was no more than $12.94 per hour and, consequently, individual recovery is likely to be modest. Further, they contend that members of the putative class may be subject to retaliation and that they may be unaware of their rights, especially those who are no longer working for defendant. Plaintiff does not identify any “other real world obstacles.” Defendant does not raise any arguments as to the application of Gentry aside from the preemption question discussed above. Thus, the court finds that plaintiff has demonstrated that the waiver undermines the enforcement of the statutory right to overtime pay. The class action waiver clearly states that the clause is not severable from the Agreement. Consequently, the entire agreement is unenforceable because the class action clause is unenforceable. Thus, defendant’s motion to compel arbitration is denied. Senior District Judge Lawrence K. Karlton.